We may all have had at some point experienced ‘pre-holiday anxiety’ – last-minute itinerary planning, fear of forgetting one’s passport or simply leaving the packing to the night before. Yet when we look back, we wonder why we had all these worries since the whole vacation went remarkably well. To prevent any future pre-holiday drama, here are 7 guaranteed tips to help you create a low-stress travel experience. If you are prone to arriving late at the airport and do not want to run the risk of missing your flight, checking-in online is the best solution. Without the long queues in airports stressing you, check in before and bring a hand luggage if possible for you to head straight to the customs. 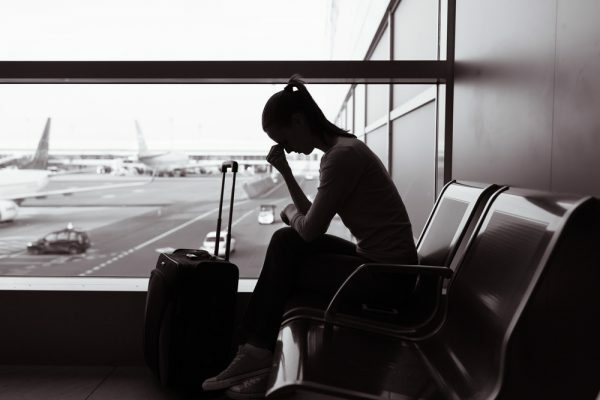 There is nothing worse than being stuck in a seat you wished you didn’t, so the best way to mitigate this is to book your seat before you travel. We all have our preferences – aisle or window seat, nearer to the toilet or far from potential crying babies. Do check back a day or two before your flight to ensure that flight plans have not changed to ensure you have your desired seat. It’s a great idea to have all your reference documents in a neat folder within your reach – flight numbers and departure times, hotel addresses, emergency contact numbers and your travel insurance. You can also draw up a brief holiday itinerary that you can keep in this folder, so that if you ever run out of ideas of places to visit you know where to look for some inspiration. Some may consider travel insurance unnecessary, especially if you are going on a short trip. However, getting travel insurance not only ensures you have peace of mind when you travel, it also provides you some monetary relief should something unfortunate happen. Disruptions to your holiday can come in many forms, including flight delays, loss of personal belongings or sudden sickness. So why stress over these when you can have access to a 24-hour helpline that is much needed in a foreign land. It may sound intuitive, but for many travellers getting anxious before is part of the trip! Between rushing to the airport, getting through the queues and running through your brain on what needs to be done, anxiety levels usually run higher than normal. The best way to relax is to give yourself enough time for a drink or coffee before you board the plane to get yourself to start slowing down. So the next time you travel, make it pleasant from the moment you reach the airport. Travel shouldn’t be stressful at all!